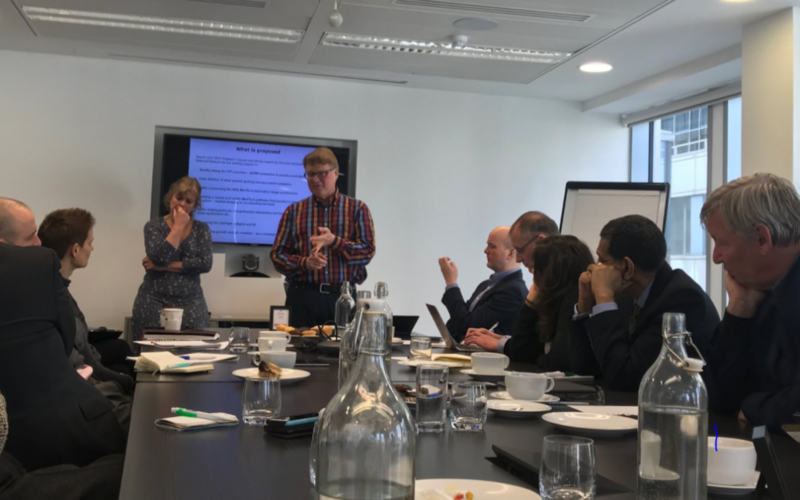 Health Tech Alliance members met with representatives of Academic Health Science Networks (AHSNs) to hear more about the work they do and to discuss ways in which the MedTech industry and AHSNs can better collaborate to increase the uptake and spread of innovation. Holly McLaren, Commercial Director of UCL Partners, delivered a thorough introduction to the work of the AHSN network for our members, and drew attention to several ongoing initiatives that they are working on, including the National Innovation Accelerator, a highly competitive programme delivered in partnership with all 15 AHSNs and hosted by UCL Partners. We also learned from our speakers the role that AHSNs will play in the adoption and spread of those transformative products that go through the Accelerated Access Pathway. Steve Feast, Managing Director of Eastern AHSN and Chair of the MedTech Innovation National Network told us that AHSNs must work harder to understand industry needs and help to make a stronger case for innovative solutions when educating clinicians and trusts about these products. Members were keen that AHSNs identify their priorities so that industry is aware of these. He also admitted that AHSNs have had a strong focus on helping small companies, and that they need to interact further with medium and large-sized businesses. He did however, also have advice for industry in engaging withy AHSNs and clinicians. He suggested that to successfully market their products to clinicians, industry must focus less on the products themselves but more on the problems these products solve. If these products can meet a clear need, produce safer outcomes, or quicker training of clinicians, NHS staff are more likely to be engaged. The event concluded with a workshop exercise where the Health Tech Alliance, Holly McLaren and Steve Feast discussed what industry and AHSNs could do better to encourage more constructive dialogue and to ensure the uptake of vital innovation.